The main flaw for many costume dramas is that they're rather monochromatic in regards with the cast. Very rarely do you see people of color outside of the role of a servant (or slave). Yes, they didn't have much status in society then but a change of pace isn't too much to ask for, is it? 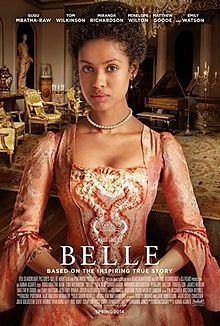 Amma Asante's Belle thankfully breaks free of that barrier by focusing on the story of Dido Elizabeth Belle (Gugu Mbatha-Raw), the illegitimate daughter of a Royal Navy officer. Granted, the film doesn't focus on her whole story but rather one particular time in her life: as a young woman. It's noticeable throughout Belle takes after a Jane Austen novel, right down to the prospects of a suitable husband. Though in other scenes, the film gets more politically involved than any of Austen's novels. It gets a little disorganized when the two mix, but it's still interesting to watch. Belle is very, very good most of the time. It's when politics get mentioned that the film becomes a bit muddled. Thanks to the performances from Mbatha-Raw and Tom Wilkinson (as well as Matthew Goode's brief but heartbreaking role), Asante's film provides a much bolder portrait than anything Jane Austen's ever written. Every summer, the masses are bombarded with star-studded big budget projects. Mind you, during these months of high heat, people will probably see anything just to stay in an air-conditioned room for a couple of hours. But what if they want to see something on a quieter scale? As the title very much implies, food is the forefront of the film. It should come as no surprise that Favreau looked at other food-focused films like Eat Drink Man Woman and Big Night as inspirations. 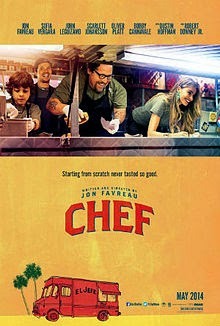 While not as great as those two films, Chef does make you not want to watch the film on an empty stomach. Favreau also managed to enlist some choice actors for his film. Among some of the actors in Chef are Sofia Vergara, John Leguizamo, Oliver Platt and Bobby Cannavale. (He also got A-listers like Scarlett Johansson, Dustin Hoffman and Robert Downey, Jr. in smaller roles.) They all do very well in their roles and varied screentimes. Chef isn't great but it certainly has its moments. However, if I had to choose between this and a mindless blockbuster, I'd go with this. Again, you can only handle so much when it comes to stuff blowing up in movies. The post-apocalyptic genre has become quite popular in recent years. Perhaps it's because the audience likes seeing the underdog coming out on top (or at least try to). Or maybe it's because the various films, television shows and novels may provide an eerie insight for the not-so-distant future. Bong Joon-ho's Snowpiercer is the most recent entry to the genre and it follows a familiar story: the survivors of a cataclysmic event try to overthrow the ruler of their condensed society. But Bong does something many films of the genre tend to ignore; he humanizes the characters. It's also not a straight-up film of the genre either. 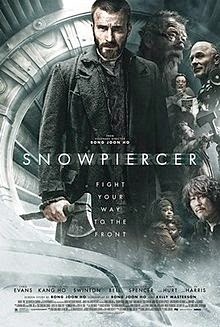 Snowpiercer fits more comfortably amongst the action genre and again, it provides a variation of the genre. It's decidedly much more bleak than the usual shoot 'em up and as every frame of Hong Kyung-pyo's cinematography shows, it's both figuratively and literally a very dark film. As well as Bong's direction and Hong's cinematography, there are many other details of Snowpiercer that catches the viewer's eye. The main aspect is that of the set design. Every small detail within each train car shows a completely different world to both the characters and the audience. Long story short, Snowpiercer is most definitely a nice change of pace from the CGI-heavy action movies we get bombarded with every summer. Some scenes are a slow simmer but they all lead to a big payoff. Oh, and if you're still not convinced that Chris Evans can act, you clearly need to see Snowpiercer. Sometimes it's hard for a film to tackle a heavy subject and still remain subdued. Often times the film gets bogged down by said subject and stays that way for the rest of its duration. However, there are those that stay subdued from beginning to end. In regards to Pawel Pawlikowski's Ida, it graciously falls into the latter category. (Then again, it's usually hard to make a subdued film when it revolves around World War II and the Holocaust.) Rather than relying more on the flashy, dramatic moments, the focuses more on the quiet reactions from the characters. The main characters are the titular Ida (Agata Trzebuchowska) and her aunt Wanda (Agata Kulesza). Both lead very different lives; Ida is planning to become a nun while Wanda lives a lonely life of drinking. Their lives couldn't be any more opposite, certainly, but once they meet, they start to become similar. 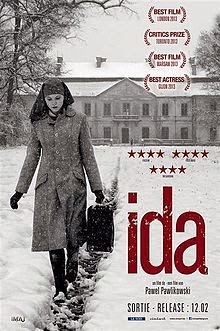 The small details of Ida are what make the film all the more mesmerizing. Every sound from footsteps in the snow to the turning of pages in a book is echoed to provide a more intimate portrait. And the cinematography by Lukasz Zal and Ryszard Lenczewski renders every shot as though they were photographs, each with a story of their own to tell. Ida is a quiet film but that doesn't mean it can't leave an impact on the viewer. Filled with gorgeous long takes, the film shows how sometimes the smallest details make the biggest impact.